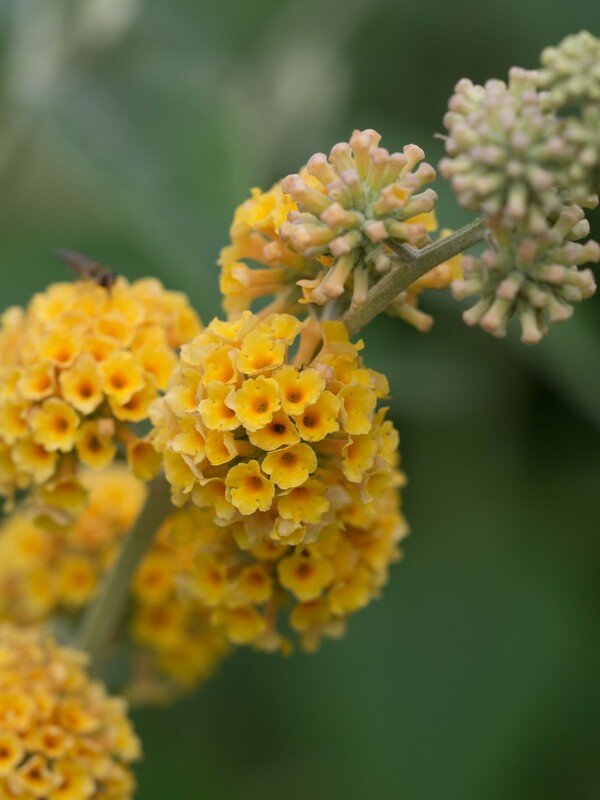 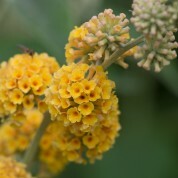 Unlike the plant from which it arose Buddleja x weyeriana ‘Sungold’ has pure yellow-orange flowers in summer again borne in clusters. 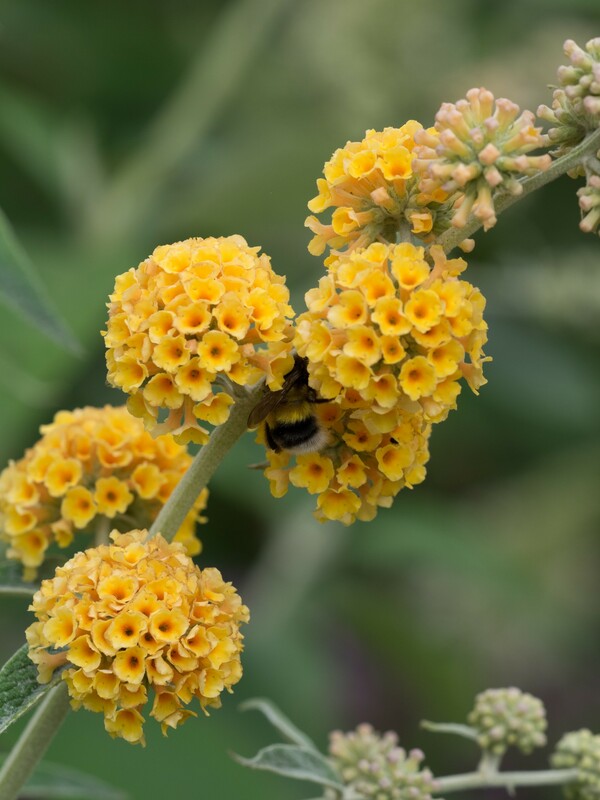 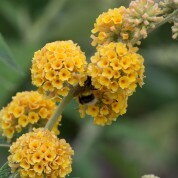 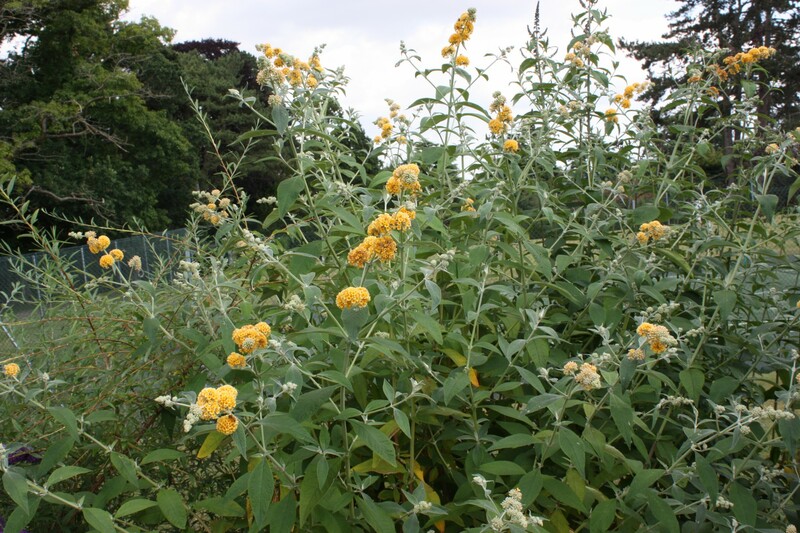 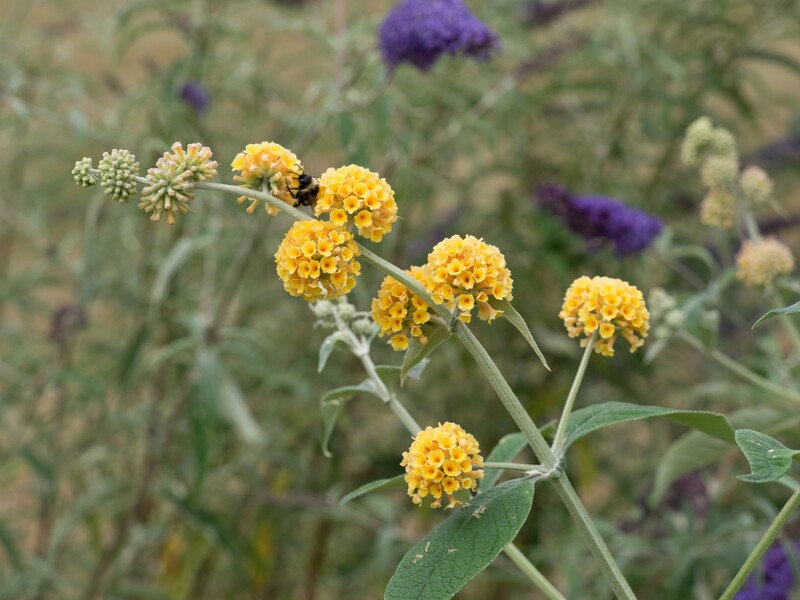 Buddleja x weyeriana ‘Sungold’ arose as a sport of B. x weyeriana ‘Golden Glow’ on the nursery of P.G. 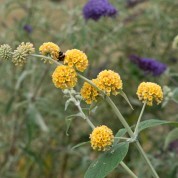 Zwijnenburg in The Netherlands in the 1960. 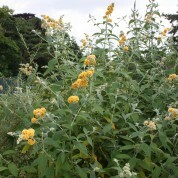 It received the RHS Award of Garden Merit in 1993, reaffirmed in 2010.